A 63-year-old great-grandmother named Alice Johnson is free from prison and was reunited with her family last week, all thanks to Kim Kardashian West. 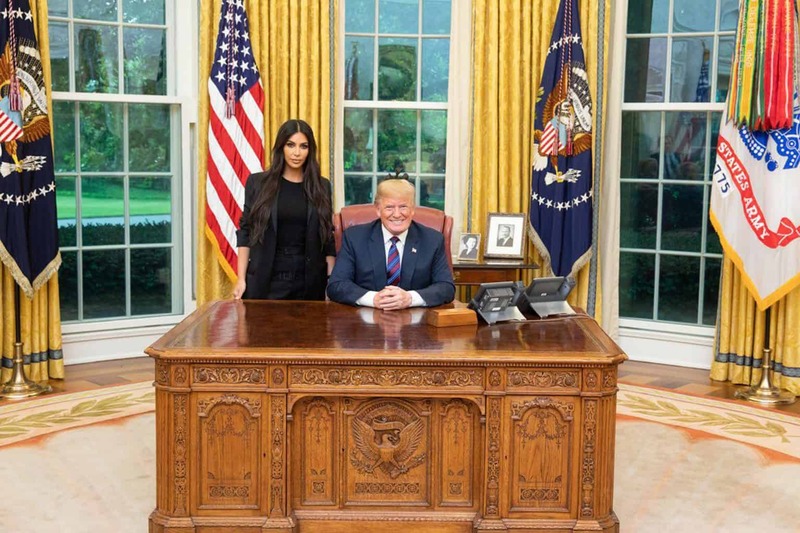 The reality star met with President Trump to advocate for Johnson’s release and won. Now the president has turned to NFL athletes, asking who else they think he should pardon, in an effort to raise his approval rating with black Americans. Some are celebrating the president’s interest in clemency, while some prison reform advocates are saying it may be problematic. 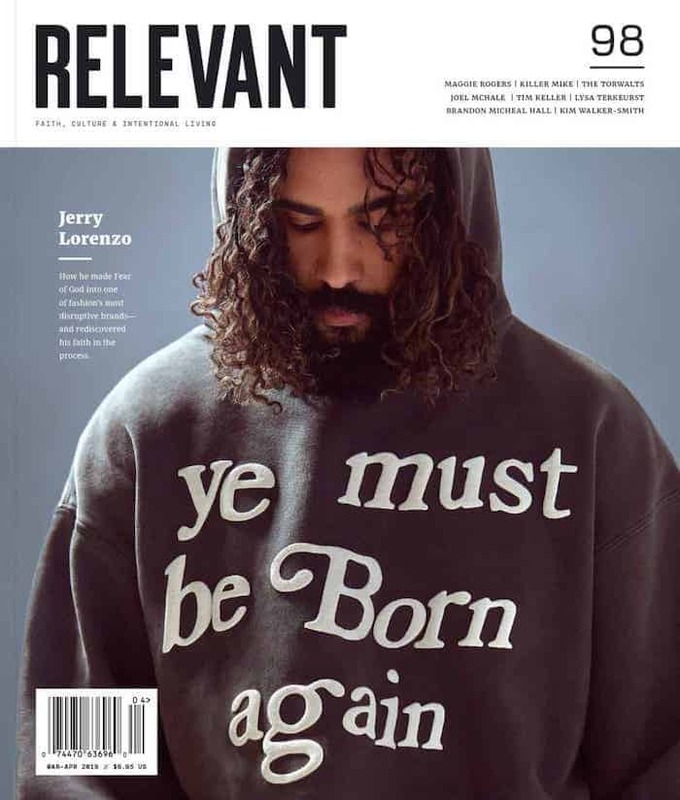 RELEVANT sat down with a leading voice in the conversation on prison reform, Dominique Gilliard, director of racial righteousness and reconciliation for the Love Mercy Do Justice (LMDJ) initiative of the Evangelical Covenant Church (ECC). His book Rethinking Incarceration offers a uniquely Christian perspective on restorative justice and prison reform. What are your thoughts on Alice Johnson’s case? There are a ton of “Alices” out there. Most people just don’t have the luxury of having a celebrity who becomes aware and advocates for their case. A good example of this: There’s a case that I think is even more worthy of being addressed right now than Alice’s case. Even though this offense was more grotesque in some ways, this person has demonstrated that they are reformed in more ways than Alice was able to. The guy’s name is Matthew Charles. And his case is picking up steam right now. There was a petition circulating to try to get more awareness to this case and it eventually made it back to the White House. Fox News did a story on him and then NBC just did a story on him last week. But most people wouldn’t even know who he is before it started generating this national attention. He would be an example of the different Alices that are out there, that’s why I say she’s metaphorical. So this is someone who had spent over 20 years in jail. He’s been free now for a year and a half and has demonstrated that he’s changed and reformed. But our justice system actually insisted that he go back and be reincarcerated. So I do think there’s danger in looking at Alice as such an anomaly because I think really she’s more metaphorically representing a broader swath of our nation’s prison population. Why do you think people are so enthusiastic about sending people to prison knowing that these cases are so common? I don’t think people know these cases are that common. I think people believe everyone who’s locked up is locked up for a good reason. Most people are actually pretty shocked when they find out 1 in 25 people sentenced to the death penalty is falsely incarcerated. So I think the work of organizations like The Sentencing Project … [demonstrates that a case like that] happens pretty routinely. We [do] need to protect our communities and our criminal justice system is a way to do that. [But] there’s this narrative that most people believe, that the vast majority of people who are incarcerated are incarcerated for violent crimes, but that’s just a fallacy. The overwhelming majority of people who are locked up in people’s jails and detention centers are there for non-violent offenses. So on that note, we’ve seen some surprising allies all of a sudden on the topic of prison reform like Kim Kardashian West and Jared Kushner (though we found out his dad served time), and more conservative voices who tend to prefer tough on crime policies. There was a study just conducted last year where [researchers] found the state of California has the highest cost for incarcerating people per year. It actually costs more to incarcerate a person for a year than to send a student to Harvard for the same amount of time. So … more progressive people are saying, this is unethical and immoral, and more conservative people are saying, this is fiscally irresponsible, too. The other thing that’s happening is we see the expansion of the impact of drugs going more into the white community with the opioid crisis. We’re seeing a deeper compassion and a deeper empathy that is coming toward those communities. They’re starting to be directly impacted by that drug epidemic in the way that the black community had been by crack. But I’d also like to say that I think the role of celebrities coming out and being vulnerable enough to say “I have a family member who has been incarcerated” or “I see this case and it breaks my heart.” Like I said with Jay-Z [for Kalief Browder] and we saw with Kim [is a good thing]. Celebrities have social capital that has been untapped in this arena and I don’t think most of them have actually leveraged their platform for justice [to the extent] that they could, like we see with people like John Legend and the way he’s doing it. I also think for the Church, in particular with some conservatives, I think there’s been some new work, and I hope my book has helped with this, to reframe this conversation in a more biblical, theological way that has helped them reconsider how their engagement with the issue previously may not have been as faithful as what the Spirit might be prompting them to in the present moment. So I just think the convergence of all of that has created this atmosphere where we’re having a new conversation. President Trump is now asking NFL players to identify more people who should receive clemency. What are your thoughts are about that? I think it’s great that he’s open to granting clemency to more people. My hope would be that his inner circle, who’s giving him advice in these regards aren’t just reduced to celebrity figures, but he actually reaches out to some specialists within the field. I’d love for him to take the same time and have a one-on-one with Michelle Alexander or Bryan Stevenson. Or myself. Or even John Legend, who is a celebrity but is taking the time to start a whole nonprofit dedicated to combating criminal justice. What is the thing you hope he’d come away with from spending time with actual criminal justice experts? I’d hope that he would see that our criminal justice system is not what it appears to be. For far too long, there’s been this belief that our criminal justice system is set up in a way that is producing healthy reform, and that it is predicated around a lot of support and investment that really leads people from a place where they recognize their crime and can return to society as productive members of society, and our system just isn’t set up in that way. There have been educational programs that have been taken away from prisons and jails that used to be able to help people when they were behind bars to come back as a returning citizen with some kind of degree or skill that will allow them to truly be able to have a second chance at life. A lot of those things have been stripped away. I’d want him to look at the exploitative nature of commerce that’s happening behind bars and the ways in which people are being exploited for their labor. I’d want him to look at the inhumane circumstances around things like solitary confinement. And I would want him to recognize the U.S. is the only nation in the world to sentence juveniles to life in prison without the possibility of parole. Why is that? So I’d want him to wrestle with those deeper ethical questions about why our system is the way it is. I would want him to wrestle with the racial discrepancies. Right now it’s projected that one in three black men will be behind bars in their lifetime. The number is one in six for a Hispanic male, but then when we go and look at the numbers for white men, it jumps all the way up to 1 in 17. [Those] numbers are very disproportionate. And the numbers continue to be informed in the same way when you go to gender. For black women 1 in 18, for Hispanic women 1 in 45 and for white women it’s 1 and 111. Illinois is one of two states that does not have parole anymore. Which means, when people are serving elongated sentences and they prove they’ve been reformed through good behavior, they don’t get a chance to go before court and actually have the possibility of early release. All other states have it, but two states don’t. So I’m in class with men who 100 percent have been reformed. These men have given their lives to Christ and acknowledged what they’ve done and have taken responsibility for it. And some have even sought reconciliation with victim’s families. But they have literally no possibility of returning to society ever again. And [society is] saying redemption is not possible for [them]. So we’re forever defining them by the worst things they did. That’s just not a Christian. So I really struggle with that, as a follower of Christ: that we have a system that forever stamps somebody and says you’re irredeemable. There’s no transformation you could ever have to allow you to engage the world in a productive manner.